Winemaking is always on Mother Nature's schedule. Understanding this enables us to look ahead seasonally, but also to adapt to what's next today, tomorrow, or next week. Winemaker Todd Graff plans for what he can, but enjoys the seasonality of the process, knowing there are always different creative options to explore. Frank Family's process begins with grape sourcing, where the most important winemaking decision is picking ripe, clean, delicious fruit. By consistently sourcing from the same vineyards, we have a tremendous advantage of knowing the grapes' personalities, even if each vintage may be slightly different. The ability to know when to start each phase can feel like alchemy. Todd is our magician, having traveled the world perfecting his skills and learning which grapes to pair with each other, and which blends to pair with which barrel. It's an artistry he's mastered. 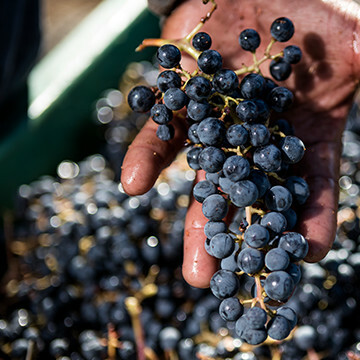 Most of his winemaking decisions happen during fermentation, where two weeks of careful work determine the outcome for a vintage like Cabernet Sauvignon that ages in barrels for two years. These choices are a team effort, starting at the top, as Todd says. After crafting several blends, Todd works closely with Rich and Leslie Frank during tastings before choosing which makes it to bottling. The outcomes are red wines with rich, full bodies, achieved through a complex extraction process; delicate white wines created by a quick fermentation-to-barrel transition; brut rosé wines that absorb the best of both red and white worlds; and graceful sparkling wines achieved through a process that takes five years from vineyards to consumer. Across our three collections—Reserve, Napa Valley, Sparkling—we take pride in process, every day, making a diverse set of varietals that make any occasion. Winemaker and General Manager Todd Graff is behind Frank Family’s reputation as a world-class producer of Napa Valley Cabernet and Chardonnay and its “Napa Green” certification for both land and winery. Prior to joining the family in 2003, Todd's career began across the globe, where he worked at the steep slate vineyards of Weingut Klaus Schweicher in Mosel, Germany, the sandy soils of Château Yon-Figeac in St.-Émilion, France, and the decomposed granite and sandstone loam soils of Arrowfield Estate in Australia’s Hunter Valley, among others. Todd honed his craft and grew his technical skills throughout wineries in Napa Valley, including his time as Assistant Winemaker at Stag’s Leap Winery, as Assistant Winemaker and Vineyard Manager at Schramsberg Vineyards, as Sparkling Winemaker at Cordoniu in Napa (now Artesa), and as Winemaker at Sonoma Creek Winery. He is now a member of the Napa Valley Wine Technical Group and the Napa Valley Vineyard Technical Group. His forethought and intuition are his artistry, where a deeper understanding of flavor profiles sometimes feels like magic. His favorite part of the day is walking the vineyards in the morning with his dog Bristol by his side. As soon as we think we know what we're doing, we're rookies again. But winemakers don’t have erasers. We have to do it right the first time. Despite family trips to Sonoma County growing up, winemaking was not always the evident career path for Corey Whitaker. Rather, she dedicated her studies to biology and chemistry during her schooling at San Diego State University. It wasn’t until taking an economic botany class, that her deep-rooted passion for wine started to blossom. The class took a trip to a winery in Temecula, California and Corey saw for the first time how integrated winemaking and science are. She fell in love. After college, Corey spent time traveling the U.S. before ultimately settling down in Northern California Wine Country. A job in the tasting room of Marimar Estate in the Russian River Valley sparked her love for winemaking once again and the rest is history. Starting as a lab technician at Ferrari-Carano Vineyards in Sonoma County, Corey worked her way up from there. 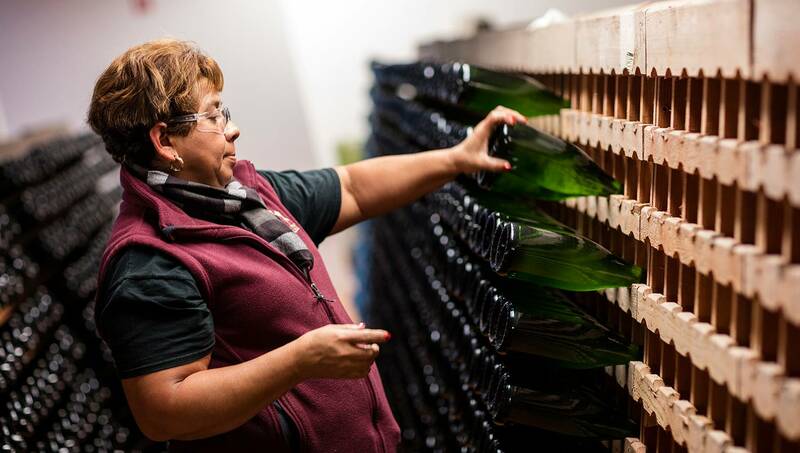 She joined Frank Family Vineyards as our enologist and quickly became an essential component to our winemaking team. Today, Corey is our Assistant Winemaker, where she’s always applying her knowledge of science and love for wine to make her mark on our hand-crafted and estate-driven collections. The thing I love most about winemaking (aside from drinking the final product) is the job is constantly evolving, is always fresh, and never mundane. Frank Family Vineyards has a small winery mentality, where everything we do has the smallest details in mind. We use only 100% French oak barrels, their refined elegance lending itself to our wines of the same. 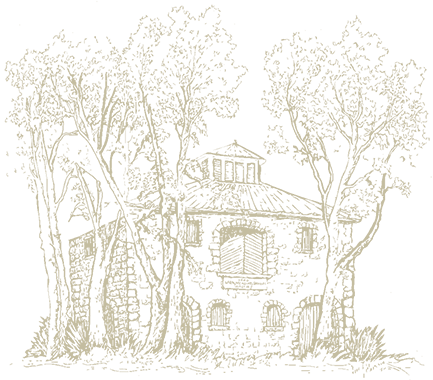 In 2008, we fully renovated our winery with all state-of-the-art equipment. From small-lot fermentation to bottling, we do everything on-property, perfecting our many styles within each varietal for fine wines without the grandiose.